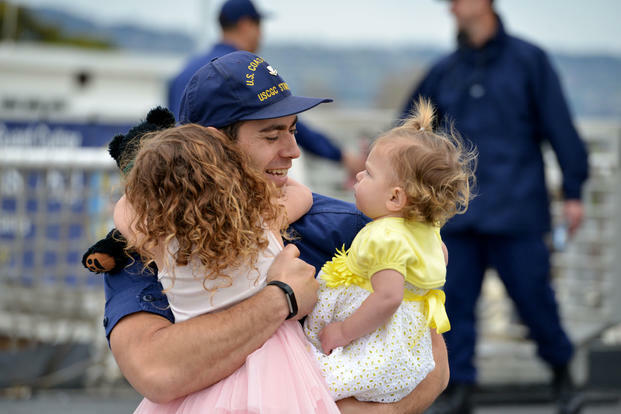 Cutter Stratton sailor returns home U.S. Coast Guard photo by Petty Officer 1st Class Matthew S. Masaschi. The current budget impasse is creating hardships for Coast Guard members and their families. If you want to help, one of the best ways is through Coast Guard Mutual Assistance. If you would like to make a donation or organize a fund raiser, this is the link. This entry was posted in Budget, People, personnel by Chuck Hill. Bookmark the permalink.